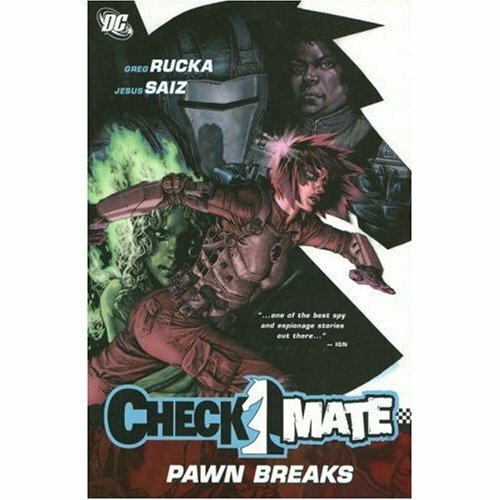 One of my few complaints about the Checkmate TPBs is that they're not clearly labeled with volume numbers. Yes, I'm a completist, and somewhat OCD about it; I like to read serialized stories in order, and I like them to have proper endings. What else? Oh, yeah, still loving it. Rucka does a nice job of sprinkling just enough superheroic and magical elements on top of a solid spy-fi foundation to put a fresh spin on the genre without making it too ridiculous. And that's quite a feat in a book which features a talking chimp.